‘Tis the season to be jolly… and nothing makes me jollier than the adorable chalets, glühwein and decorations of European Christmas markets. 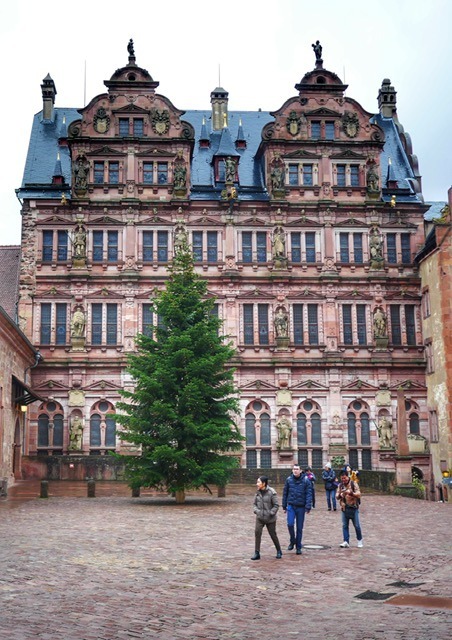 In 2018, my family embarked on a Tauck Christmas Market river cruise through Switzerland, France and Germany to experience the magic for ourselves. My parents and sister live in the Christmas Capital of Texas, but we’ve never done the European Christmas markets before. The demographics of the clients on the riverboat were quite a bit older than my little sister and I, with the average age of guests being in their 60s-70s. That being said, I thoroughly enjoyed the cruise and would absolutely recommend it to Millennial travelers who love Christmas and love seeing new places but hate packing and unpacking every other day. The days can be as planned or as spontaneous as you wish. Tours are included at each stop on the itinerary, but the choice is always given to explore the market on your own. With a maximum capacity for 130 guests in its 67 cabins, the 443-foot ms Inspire is built for personalized luxury. While the sun deck may not see too much use during Christmas market cruise season, there’s a putting green and lounge chairs for the sunny days and brave souls. 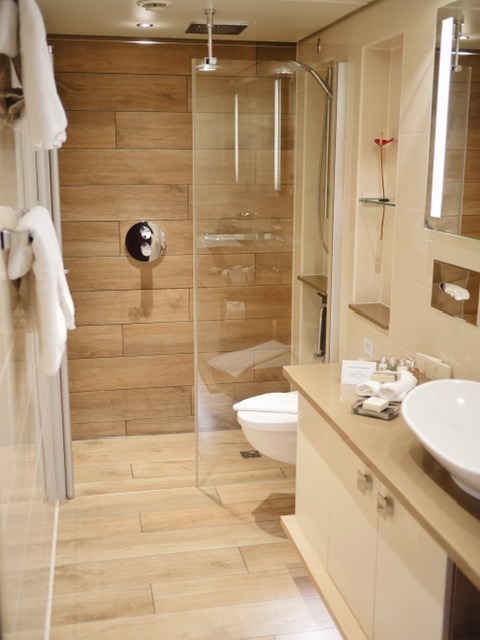 There’s also a jacuzzi on the deck, conveniently accessed through the Arthur’s Restaurant where you can order a drink to enjoy while you soak. There’s a fitness center but you’re on holiday, so thank you, next. A hair salon is available in case you’d like a fancy updo for the Captain’s Dinner and a small spa with massages on offer. If you want to explore the town by bike while docked, the boat has a collection of bicycles on board for you to borrow. The boat offers free wifi, and if you’ve forgotten your devices, the reception desk has iPads and laptops you can borrow. Think 400-thread-count satin linens, thick pillow top mattresses and puffy pillows and duvets made of fine mako cotton with a 90% down filling. Imagine getting all tucked in and being lulled to sleep by the soft rocking of the river and the hum of the engine. Sleeping like a baby doesn’t even begin to cover it. 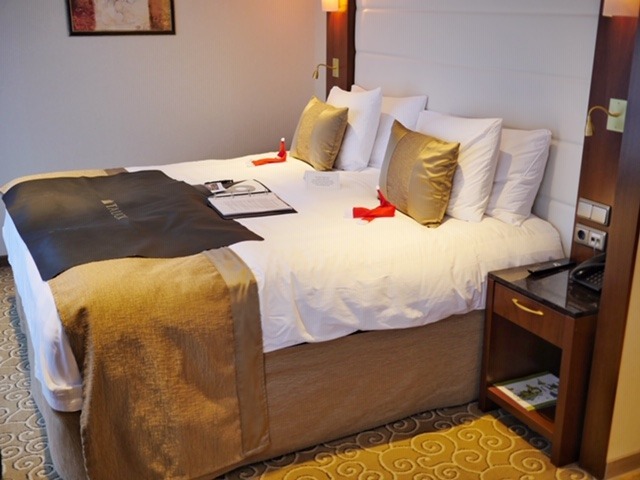 We stayed in a Category 7 Suite on the Diamond Deck and it is easily the most luxurious, spacious and relaxing room I’ve ever stayed in on a cruise. It’s also better than 90% of the places I’ve stayed in my whole life while on holiday. The suite is 300 sq. ft. designed with comfort in mind. The closet alone was worth geeking out over… My sister and I each had our own space for folded and hanging clothes. We quickly traded our warm, winter clothes for fluffy, terrycloth bathrobes and slippers. The bathroom had a rain-head shower and enough mirror space for the two of us to do our makeup. The Molton Brown toiletries (exclusive to Tauck) smelled great and were replenished every day! 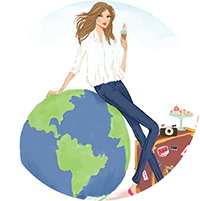 Everyone warned me about the freshman 15 when I went off to college… I did not receive the same warnings about a rivercruise, but I needed it! All of the food and drinks (yes, even alcohol) is included and it’s all good! Don’t bother trying to refuse… this cruise is the reason January diet resolutions exist. The Compass Rose dining room is open for breakfast and dinner daily. Dinner options change daily, in line with the region visited that day. Can’t decide between two things that both sound good? It’s a cruise and everything’s included… order them both! Arthur’s is a casual dining room that serves a continental breakfast and casual lunch and dinner. Its hours are extended from those of the dining room, so if you want to sleep in or snack late, Arthur’s has you covered. Don’t feel like leaving the room? If you order the night before, you can get breakfast ordered to the room and there’s a Bite to Eat menu that’s available from 10am until midnight. The food, the accommodation, the riverboat and the itinerary were all phenomenal, but what really made this trip was the incredible staff. Cruise director Yener and the amazing Tauck Directors, Anke, Grace and Andrea were always available to answer questions or chat with a smile on their faces. They did all the troubleshooting during the day and led fun activities like Christmas caroling and tree trimming in the evenings. Teodor, from Bulgaria, is the massage therapist and he’s reason enough to book the entire cruise! I lost mobility in one of my shoulders a couple years ago (not all my accommodations have been quite so comfortable). After one session with Teodor, my shoulder works again (and still does months later)! Hristo is a musical genius and kept us in a festive mood with his tunes on the piano throughout the cruise. The room attendants were some of my favorite people (and not just because they left chocolates every night). When we arrived back from shore excursions every day, Darwanto made sure everything looked perfectly fresh. And of course, our captain, Thomas van der Meijden expertly navigated the ms Inspire through the river locks and within inches of passing boats. On arrival in Basel, I recommend that you check out the Christkindlmarkt during the day. 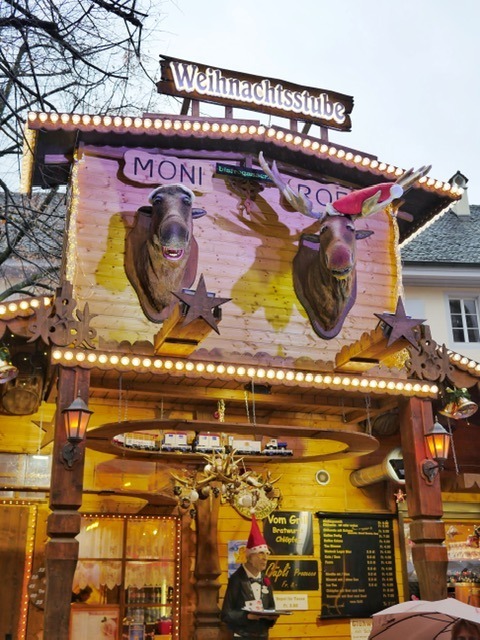 Here, you’ll get your first taste of glühwein (return the mugs to receive your deposit back) and get into the Christmas spirit at Switzerland’s largest and most traditional market. Tauck representatives will meet you at your hotel for transfer to the riverboat. Once on board, get settled into your room and enjoy a first drink in the Panorama Lounge while the crew is introduced and a safety briefing is given. This evening, the riverboat will go through some locks on the way to Breisach. Watch out your window to see just how close the captain gets to the sides! 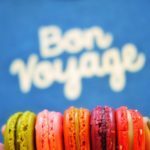 The itinerary starts out in two of the cutest towns of the entire cruise. If I had the chance to do it all over again, I’d probably select the Cologne to Basel route instead of the Basel to Cologne cruise we did. Every town is unique and wonderful in its own right, but I’d have preferred to visit my personal favorites last instead of at the beginning. On the bus to Colmar, the cruise directors pass out lunch and Christmas ornament money. Can you believe it? A tour that gives you money?! With the money you receive, you’re responsible for buying lunch in Colmar and purchasing an ornament to trim the tree with at the Mix, Mingle, and Be Merry celebration this evening. 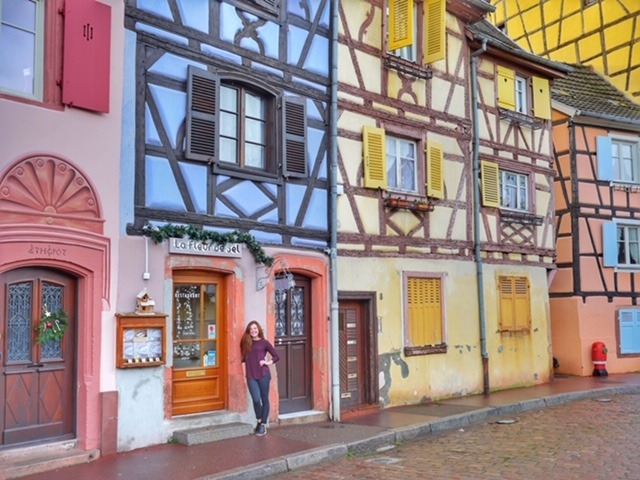 When you arrive in Colmar, you’ll be separated into groups and told to turn on your Vox (a listening device that allows you to hear your guide when you’re not standing within earshot). 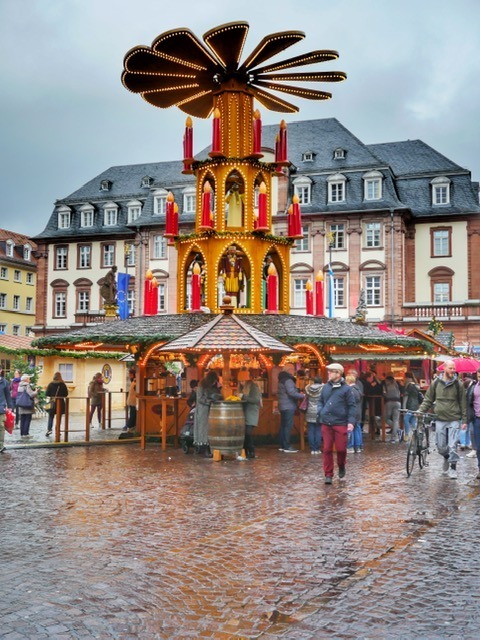 On the tour, you’ll be led through many of the town’s six Christmas markets and learn all about Alsatian region and the alternating French and German control through history that’s marked its architecture and traditions. 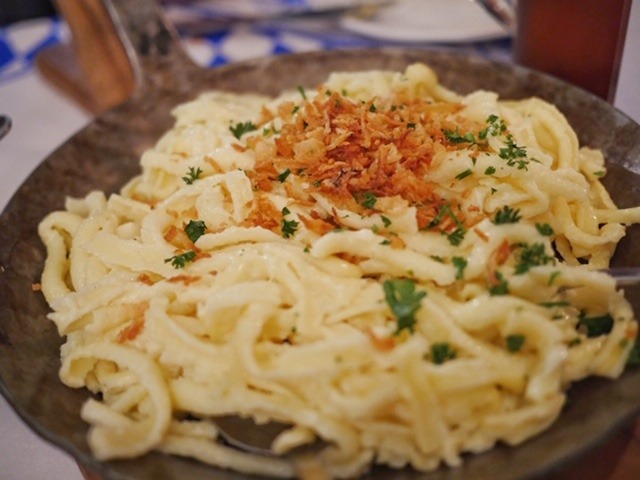 We ducked into a little restaurant by La Petite Venise before making our own trip through the city’s markets. 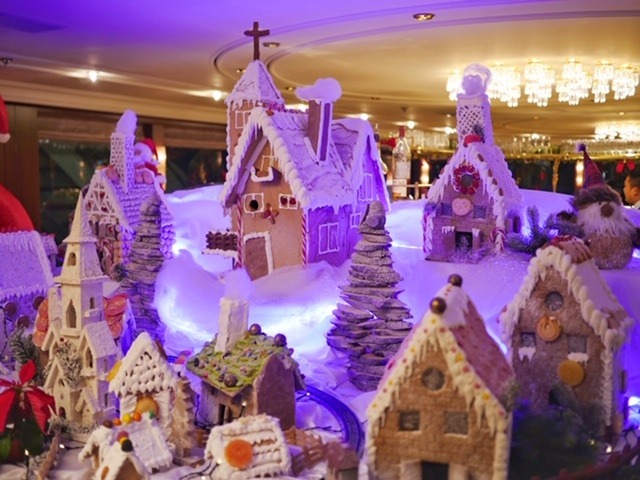 Visit the 60 chalets of Place de Dominicains for Christmas decorations before filling up on foodie souvenirs (Christmas breadele and foie gras especially!) at the Places Jeanne d’Arc. At the Place l’Ancienne Douane, 50 chalets set on the canal sell traditional decorations. Warm up in the Koïfthus (former Customs House) indoor market, full of products designed by local artisans. Hungry again? 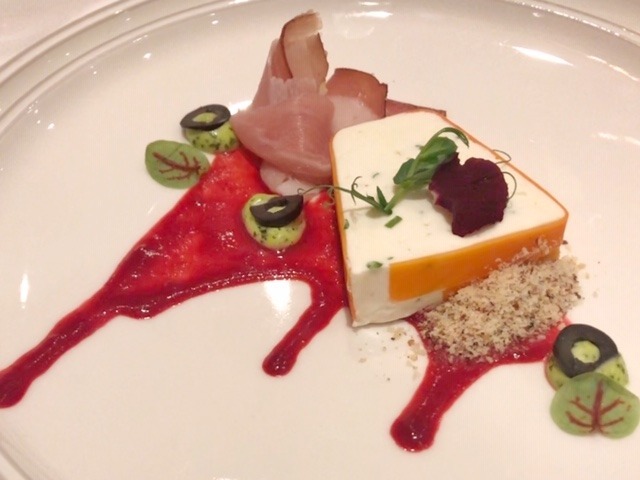 At the Place de la Cathédrale, 9 cabins and 9 chefs promise a fully gourmet and fully traditional rendition of Alsace specialties. 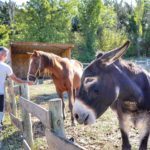 Delight your inner child at the Petite Venise market, with rabbits and sheep, a merry-go-round, and a giant postbox for Father Christmas. 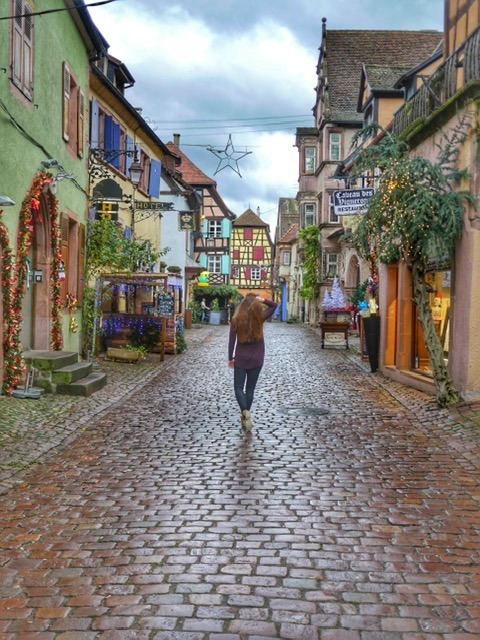 When it’s time to leave, meet the Tauck cruise directors for transfer to Riquewhir, where you’ll be stunned by this adorable fairytale village. Roam the cobbled streets and pop into the half-timbered winemakers shops. 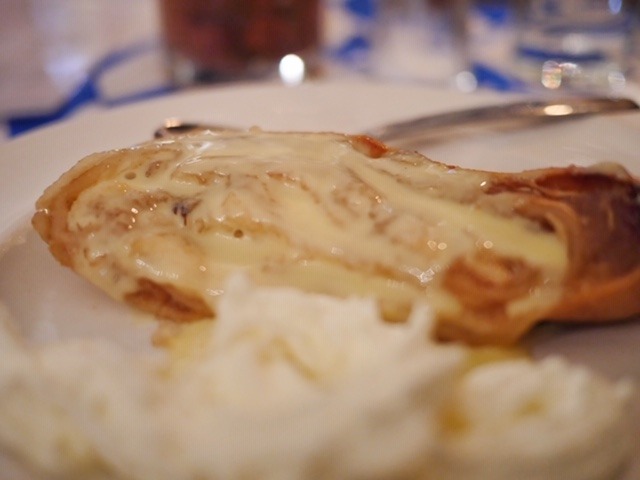 Try a flammkuchen and pair it with vin chaud blanc. Be sure to try the white wine here, as the Alsace region is especially famous for white instead of red. The main markets are easy to find, but keep your eyes open for markets tucked away in private courtyards. Back on board, you’ll want to bring the ornament you chose with your souvenir money to trim the Tauck tree! Don’t worry, you’ll get it back at the end of the cruise. 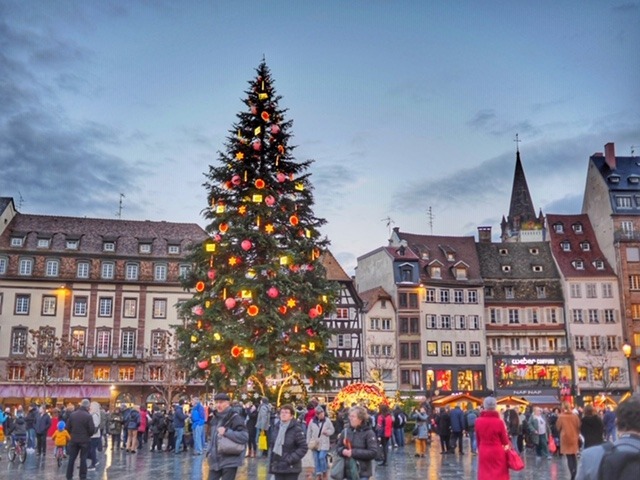 Strasbourg calls itself the Capital of Christmas and its easy to see why. On tour, get an overview of the city the European Union chose as its home. The entire city center is declared a UNESCO World Heritage Site. Visit the Gothic Cathedral de Notre-Dame, where, if the timing is right, you’ll get to see the astronomical clock in action. 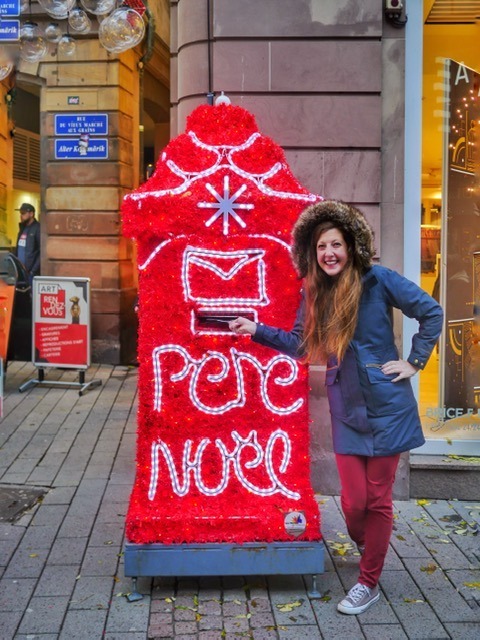 Every shop is decked out for the holidays and the heart of Christmas itself, the great tree in Place Kléber reminds us all of the letters we used to write to Santa. 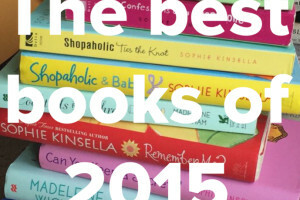 Want to make sure your message gets to him this year? There’s a mailbox for Père Noël here, too! 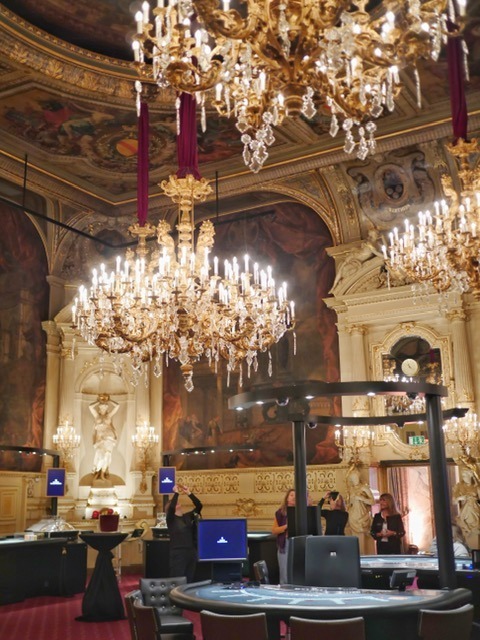 Near the tree in Place Kléber, one hundred support, charity and humanitarian associations have booths set up, ready to give information or sell items to raise funds. Want to cut down on things this Christmas? The Village of Sharing is a great way to celebrate a mindful Christmas. Another site for environmentally-friendly shopping is the OFF Market, where you can find vintage furniture, customized clothing, original art creations and other completely unique items. 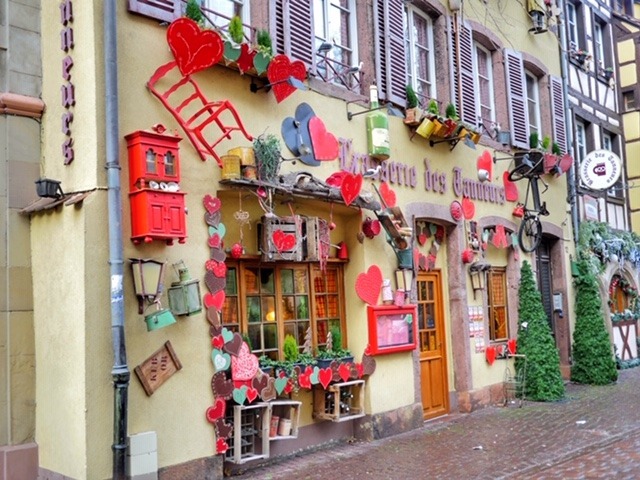 Don’t miss the Place des Meuniers, where local Alsatian artisans sell 100% made in Alsace products. Stop by and shop local. Each year, Strasbourg holds a Christmas Abroad market with food and souvenirs from a visiting nation. In 2018, Finland shared their Christmas traditions and the smell of salmon roasting on the fire transported us to their nation. 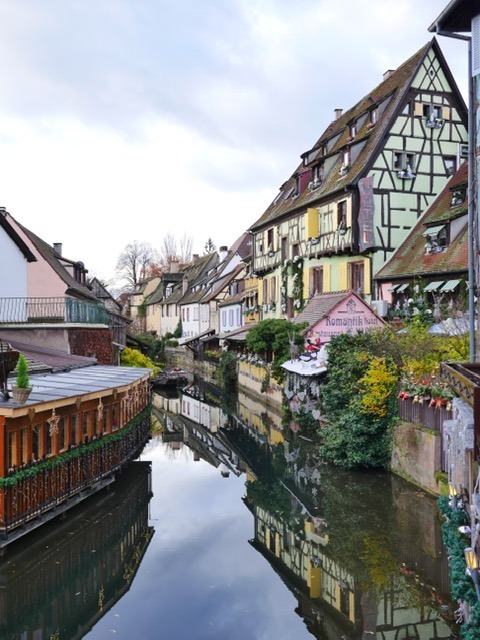 Choose to have lunch in Strasbourg at your own expense or head back to the riverboat. I recommend staying in town and enjoying the bretzels, choucroute (sauerkraut) with pork sausage or smoked ham and more bredele. Tired of vin chaud already? Try one of the seasonal bieres de Noël, a dark ale brewed especially for the season. Need to warm up fast? A shot of eau de vie, a brandy made of plums or raspberries will do the trick! Just don’t forget what time you’re supposed to meet the bus! This evening, there’s live music on board in the Panorama Lounge for your listening pleasure. Nestled in the mountains of the Black Forest, Baden-Baden offers relaxation at the spa and a casino that would make James Bond proud. This is the playground of the rich and fabulous. Screen icon Marlene Dietrich once called Belle Èpoque “the most beautiful casino in the world” and when you set foot inside, you’ll see why. Take a quick tour through the casino and enjoy a special Tauck surprise. If you want to stay and gamble, you’ll need to dress the part: men should wear a jacket and tie, ladies should be elegantly dressed and all must bring a passport. 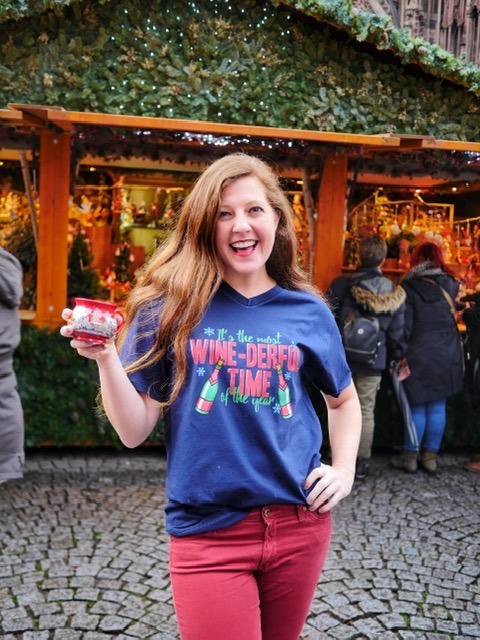 Stroll through the Weihnachtsmarkt with a mug of glühwein or glühbier, a new and delicious winter drink. 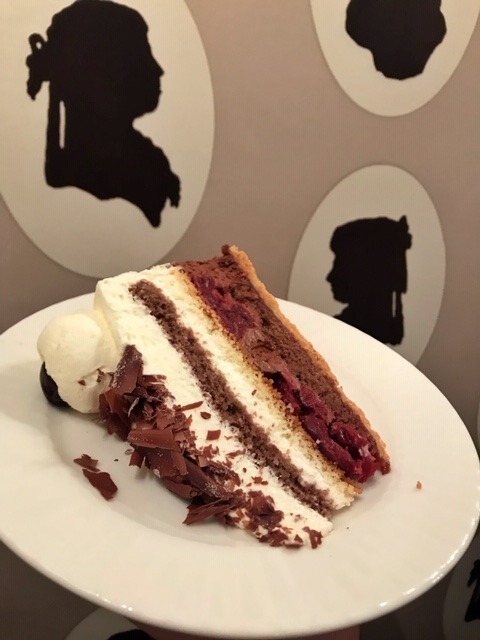 Looking for the best black forest cake in Baden-Baden? Stop into Café König. 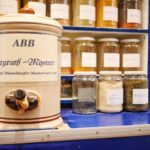 Named one of the best coffee shops in Germany and one of the best chocolate shops in Europe, this cafe has been using high quality ingredients to make their famous cakes and chocolates for over 100 years. That’s a tradition I can get behind! Heidelberg has it all. A gorgeous castle, a stunning church and a glüwein stand that offers a free shot of liquor during happy hour. 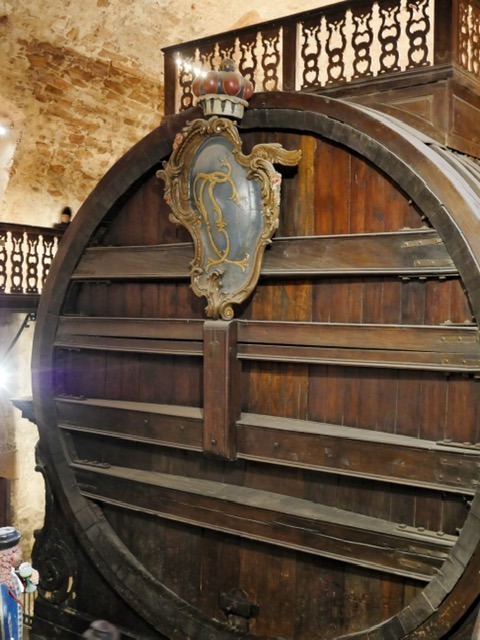 Join a local guide for the morning as you tour the Heidelberg Castle where you’ll have the opportunity to stand on top of a wine barrel that once held 58,000 gallons of wine. Not impressed? A stage on top was able to hold 20 dancing couples. Ride the funicular down from the castle to visit The Church of the Holy Spirit. 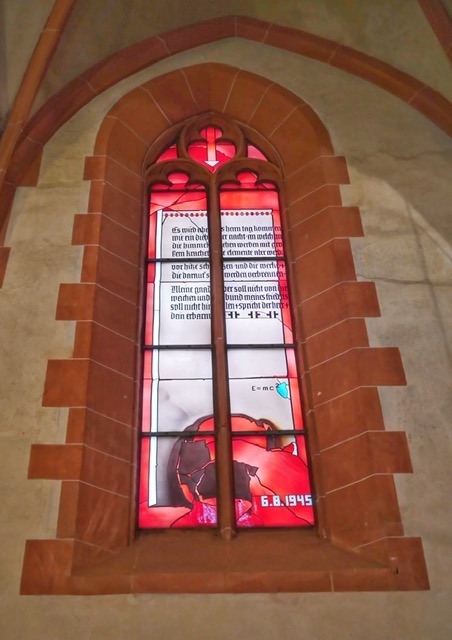 Be sure to pay special attention to the windows, especially the controversial Physics window, with the date the atomic bomb was dropped on Hiroshima and Albert Einstein’s equation that made it possible. 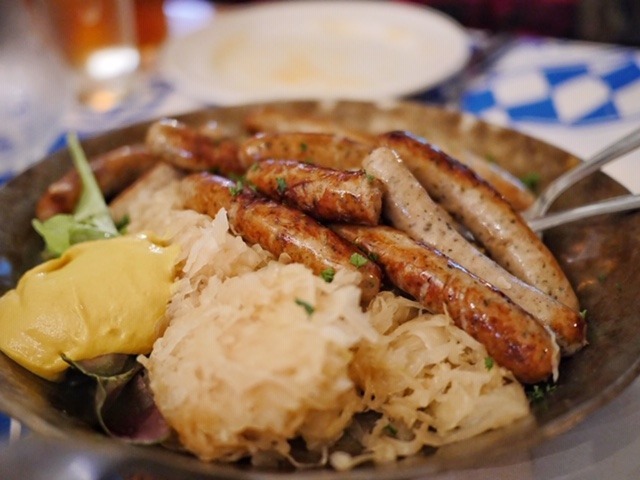 Enjoy lunch at the Vetter Brauhaus, where you’ll be treated to typical German fare. The brewery offers many types of beer and their website states that “If you do not drink here, you are just too lazy to swallow.” I asked for the waiter to surprise me with a drink and I was pleasantly surprised indeed with the strawberry beer punch he brought out. After lunch, peruse the markets where you can buy traditional food… Or you can go crazy and try the crickets being marketed as ‘power snacks’! And you can’t miss the Weihnachtspyramide (Christmas pyramid) that’s a highlight of the main square. While this Christmas pyramid is run by electricity, you can bring home a small, handcrafted version that spins by the heat produced by candles. On the bus, your tour directors will give you a kiss. Ok… get your mind out of the gutter! The Heidelberg Student’s Kiss is an institution since 1863. Fridolin Knösel, the master confectioner and chocolatier of Knösel Chocolaterie noticed the flirty glances the schoolgirls visiting his shop gave the schoolboys. And he noticed the strict governess’ presence to ward off any funny business. And so, he created the Student’s Kiss as an innocent gift that could be given to the girls without alarming the governesses. Once back on board the ship, enjoy dinner followed by Santa Jazz that’s sure to get your toes tapping. On our cruise, this day fell on St. Nicholas’ Day. 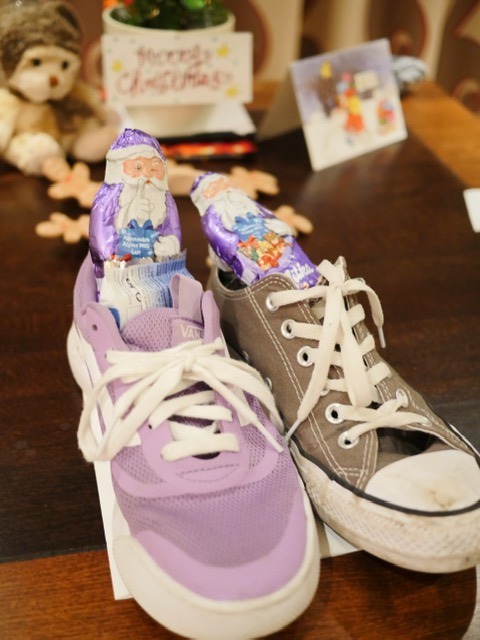 We were encouraged to leave a shoe out at night, just in case St. Nick was feeling generous. Waking up to a shoe full of chocolate is how I want to start every single day! The riverboat is scheduled for a late arrival in Rüdesheim, so take advantage of the activities on board this morning. Pastry chef, Angelina, teaches her recipe for Christstollen and glüwein (and everyone gets a taste). 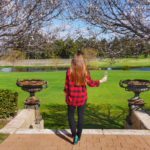 If you’ve got a thing for scarves, join Scarf Tying 101 for some cute ideas of how to tie them the European way. After lunch on board, disembark and take a seat on the mini train into town. On arrival in Siegfried’s Musikkabinett, prepare for a whimsical and completely unique experience. 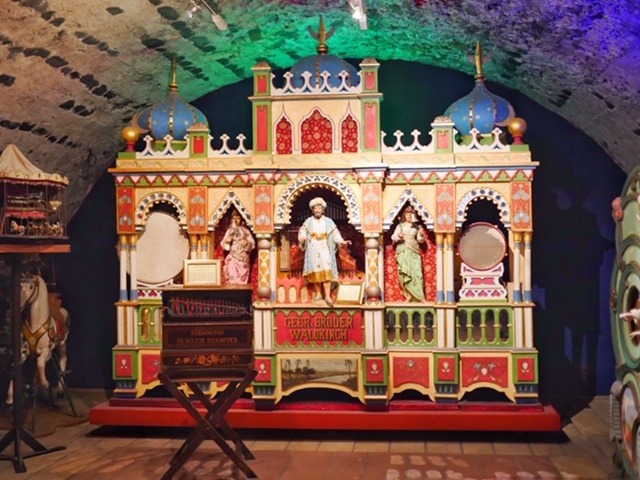 Owner and curator, Siegfried Wendel, has restored 350 antique music-making machines, now on display and fully functional. Prepare yourself, because there’s only one volume level… and that level is LOUD. I was amazed at the intricacy of the carvings and the precise nature of the design to coordinate violins, pianos and percussion to create beautiful music. In a world of replaceable technology, this level of artistry is really something special. 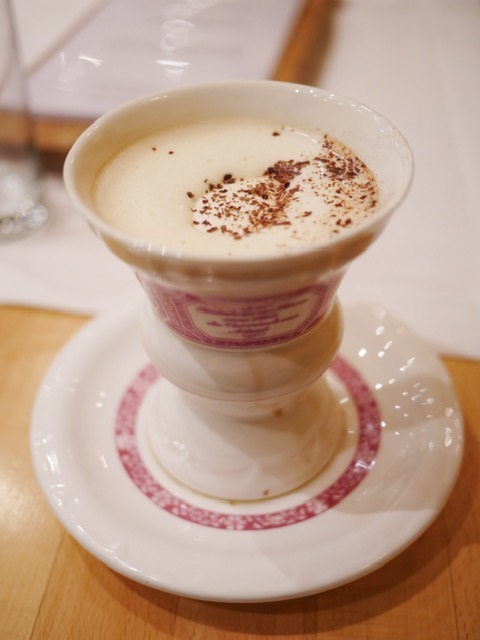 Warm up at Rüdesheimer Schloss Restaurant with a baking demonstration (and tasting) and a a glass of Rüdesheimer coffee (the secret ingredient is local Asbach brandy). A sugar and brandy mixture is set on fire, then topped with strong coffee, cream and chocolate. 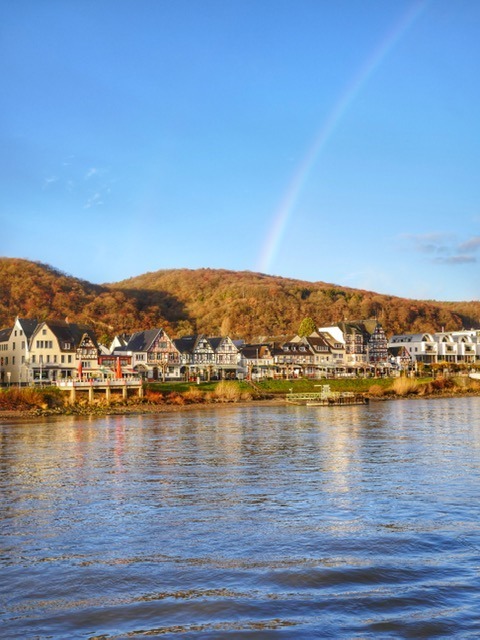 The Tauck directors will buy gondola tickets so you can see Rüdesheim from above, or you can choose to visit the Christmas market and try a mug of famous Riesling glühwein (your first mug is free at the Rüdesheimer Schloss Restaurant’s market stand). Enjoy the lights of the evening before walking or catching the mini train back to the riverboat. 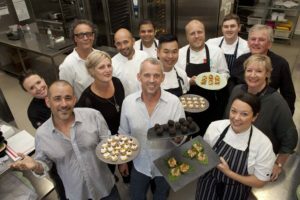 Tonight’s the special Captain’s Signature Dinner and Executive Chef Petar and his team have cooked up something special! Eat to your heart’s content and roll yourself upstairs to listen to Hristo on the piano. Today, the choice is yours. 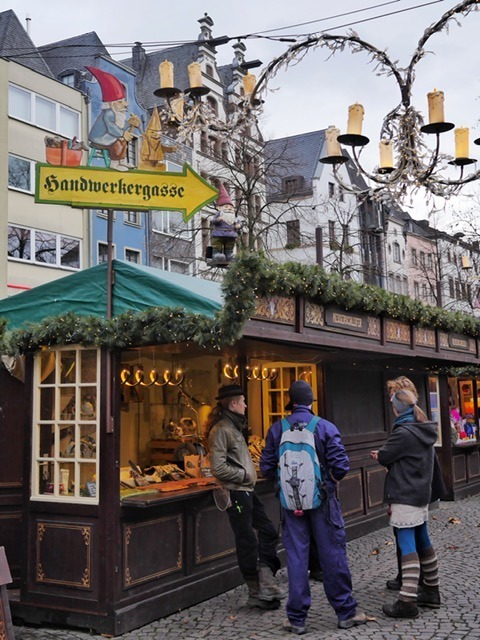 Will you visit Aachen or Cologne’s Christmas markets? In Aachen, taste the traditional (and highly secret) Aachener Printen, a type of Lebkuchen similar to gingerbread using cinnamon, coriander and ginger. (I had a rare chance to try it in Düsseldorf at a bakery founded by an Aachener.) 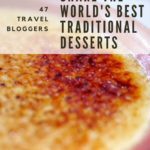 Aachen is a college town and a foodie’s paradise, so don’t be surprised to see lots of students hanging out with friends, sipping on glühwein and munching on potato fritters, spekulatius biscuits and marzipan. 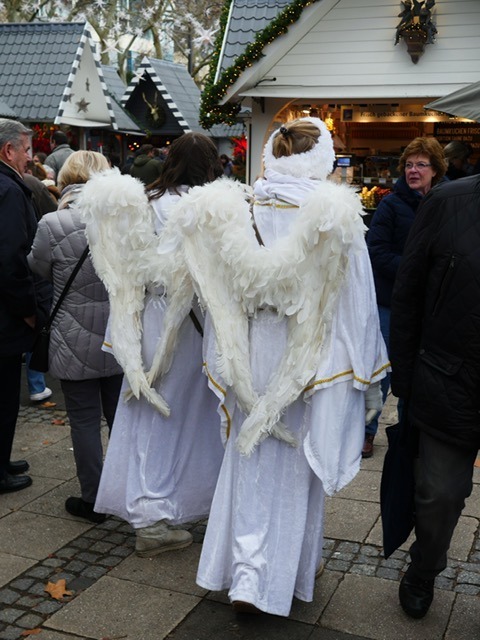 If you choose to visit Köln, visit the Angel’s Christmas Market to get sprinkled with fairy dust, or check out the 160 wooden pavilions at the Cathedral Christmas Market, just next to the Kölner Dom (Cologne Cathedral). At Christmastime, you can watch the market live here. Look for the house gnomes at the Old Market, diligently helping the shopkeepers prepare for Christmas. Legend has it that the Heinzelmännchen (house gnomes) used to do all kinds of jobs for Cologne citizens. The good will stopped, according to the story, when a housewife wanted to catch a glimpse of the gnomes so badly that she scattered peas to make them fall. When the gnomes fell, they got mad. And when they got mad, they left and never returned. All work is now done by the locals, without any magical help. Head down to the water near the Chocolate Museum for the Harbor Market. There, the Rhine Pirates juggle and glühwein is served out of a wooden three-mast boat. To get around town easily, I recommend buying a ticket for the Christmas Market Express. For €10, you can cut down on walking time to see all the markets. Back at the riverboat, join Captain Tommy for a farewell toast before dinner. Once you’ve finished dinner, join your riverboat friends for a final drink in the Panorama Lounge while Hristo plays some tunes. Departure times vary tomorrow, so it’s best to say your goodbyes now. 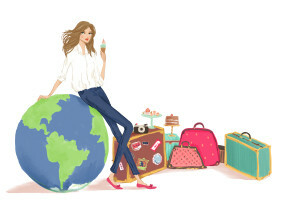 Make sure you have your passport (and any pillow chocolate you haven’t eaten yet) and say goodbye to ms Inspire. 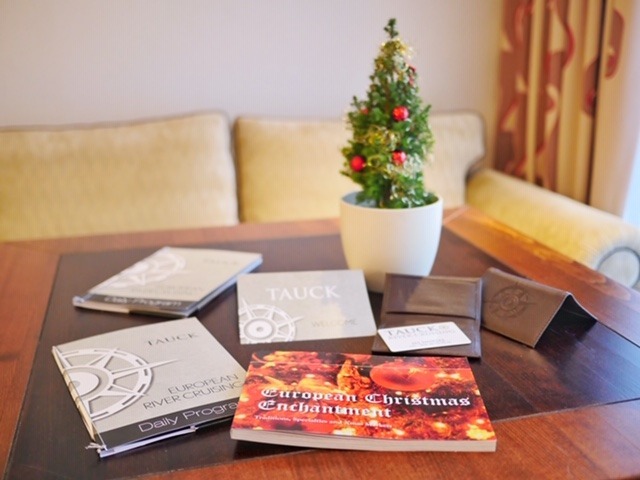 If you’re staying in Cologne for another day, a Tauck Director will accompany you to the hotel to make sure you’re all settled in before you go out to explore more of Cologne’s Christmas markets. It’s time to say a final goodbye and start paying for your own food and drinks. 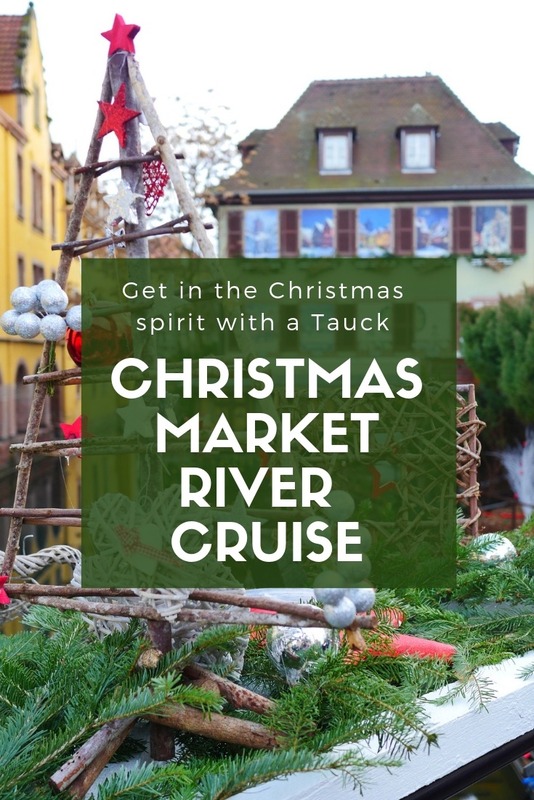 And maybe it’s time to start looking at booking a Tauck Christmas Market cruise for next year! I can’t get over how many Christmas markets you got to see during your river cruise. Amazing! After visiting German Christmas markets last year, I can’t wait to visit more in the future myself. This was the best way to see SO many!! We didn’t have to worry about anything, and we got the inside scoop on the cutest Christmas markets!